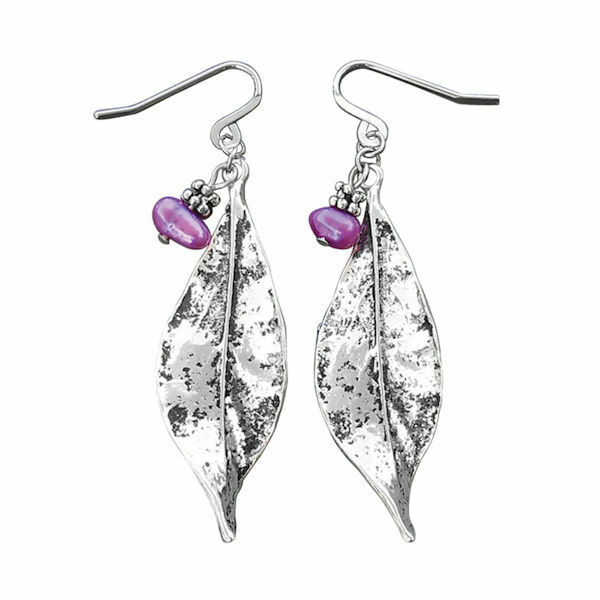 Dyed iridescent freshwater pearls accenting a shimmering silver leaf are simply lovely. French hooks. Hangs 1" overall.